The employment reference letter is an important asset for any job-seeker. Job offers can be made or lost on the basis of employment references. For the employer it provides proof of the candidate's suitability for the job opportunity. A job seeker can create a file of letters of recommendation that can be used at the job interview or when requested. Generally these will be followed up with a verbal employment reference check by the potential employer but they are very useful as a ready-made job reference when needed. The reference letter template will help you to formulate an effective reference letter for employment. This sample employment reference letter will also provide a practical guide to writing your own reference letter for employment. 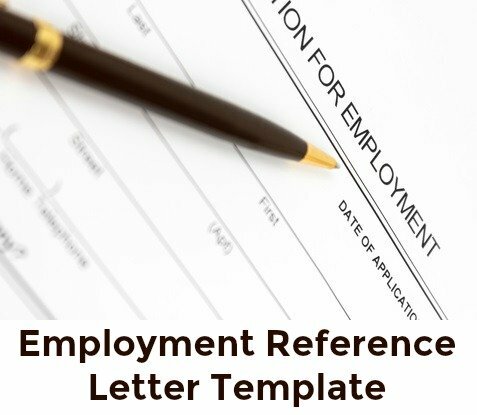 As an employer, you can adapt the employment reference letter template to fit the particular circumstances of the employee and target it to the job the employee is applying for. This outlines the reference's connection to the person they are writing about. It describes the length of time they have known the person and why they are qualified to comment on their abilities and performance. Outline the individual's position and responsibilities. John was responsible for marketing and selling both new and existing company products to the local market. This included completing insurance applications, interpreting policies and explaining coverage and financing services to customers. John also provided quotes and organized payments. Highlight the individual's qualifications, skills, abilities and accomplishments. John is skilled in (list skills) and has demonstrated the following abilities in this job (eg. ability to handle pressure, manage time, organize and plan, communicate, work as a team member). During the time that John reported to me I was impressed by his overall job performance and in particular by his ability to develop new accounts. His specific customer base grew by 15 percent during his time at the company. I would describe John as a hard-working and proactive salesperson who was able to come up with new approaches to achieve his sales targets. Sum up why you are recommending the individual in a few lines. While understanding John's decision to leave our company his presence is sorely missed. He got on very well with his colleagues and was highly respected as both a person and a professional by management, his co-workers and customers. I can unreservedly recommend John for a sales position. He will be an asset to any employer. The final paragraph should include an offer to provide further information and give your contact details. If you have any further questions with regard to John's suitability please do not hesitate to contact me on (phone number or email address). Make the employment reference letter work for the job seeker. Discuss the areas that need to be covered in the reference letter using the above example. Employment reference letter samples that can be adapted for your own use. Sample references for when you are asked for a reference after a lay-off. 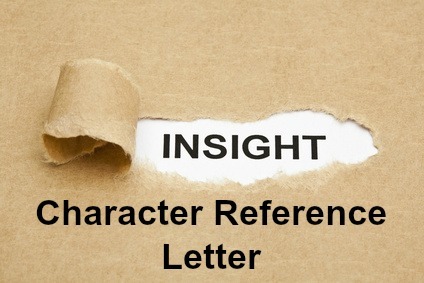 This can be a tricky reference letter to write - we show you how. Basic letter of recommendation template when you want to write a quick and easy recommendation letter that covers basic details.